It was clear from juror interviews that they reached this decision because they felt that there was a lack of physical evidence tying Blake to the crime. Several jurors wondered why there was no blood spatter/gunshot residue on his clothing or why his fingerprints were not found on the murder weapon. Despite the overwhelming amount of testimonial and circumstantial evidence most jurors believed that the prosecution “just didn’t have enough evidence to say whether or not he did it.” I start with this recent real-world example to highlight the fact that –as many legal scholars point out– the Blake jury’s reasoning represents an emblematic misunderstanding of the way evidence operates in the American and British legal systems. Physical evidence –with its attendant forensic analysis– is not a requirement for a jury to find a defendant guilty. All that is required is that the prosecution provide enough evidence to overcome the burden of proof. Whether this evidence is based on forensic analysis of physical evidence or on eyewitness testimony and suspect interviews is irrelevant. Many news outlets and scientific commentators considered the Blake jury’s decision as “exhibit A” in supporting the existence of a “CSI effect.” The belief was that this jury’s insistence on physical evidence came about because wildly popular forensic fictions like CSI had warped audiences into thinking that physical evidence –backed with forensic analyses- was the only legitimate form of evidence. Certainly, what we see in contemporary forensic fictions like CSI is the triumph of science over humanistic modes of detection. Forensic evidence is the only means by which law enforcement can establish proof in contemporary TV shows. But, this interpretation of contemporary jury behavior pre-supposes that the privileging of forensic evidence in fiction began with the creation of the CSI franchise in 2000. That audiences have only recently been exposed to the fictional primacy of forensics in law enforcement. What I want to show in this post is that the focus on forensic analysis of physical evidence is actually deeply embedded in the fabric of the crime fiction genre with roots in the earliest works of literary detective fiction. 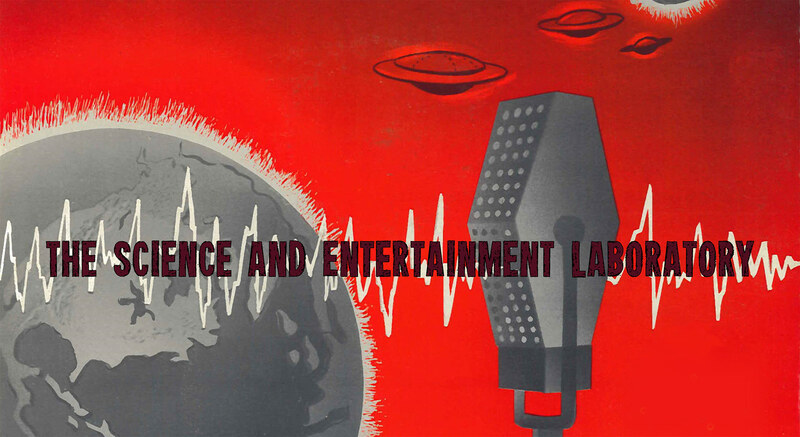 In fact, the establishment of detective fiction as a genre is intimately connected to the development of criminalistics and forensic science itself. 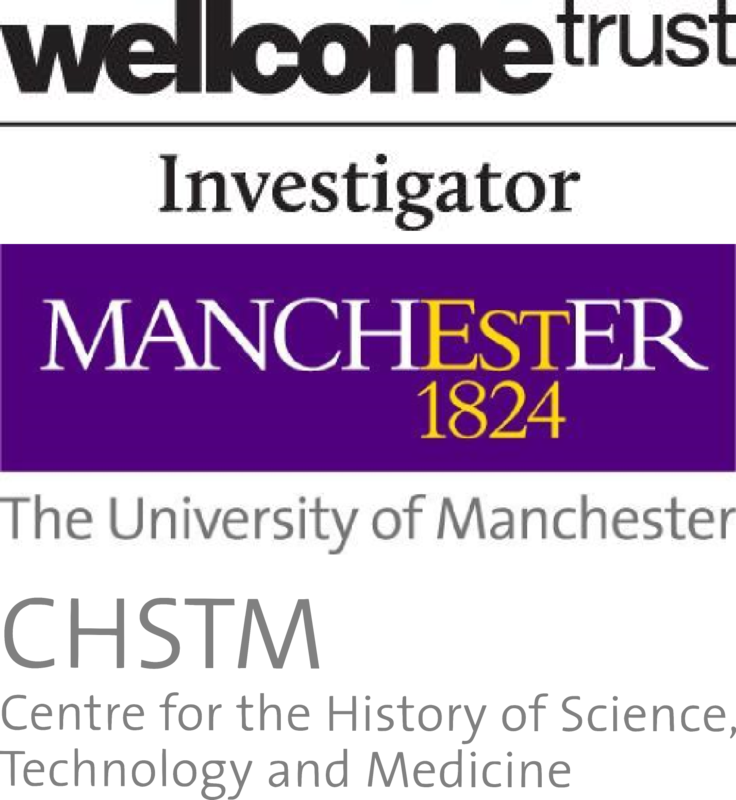 Many forensic techniques that were being developed in the nineteenth century such as fingerprints, lie detectors, photography, forensic profiling and forensic pathology appeared quickly in the hands of fictional detectives. The earliest literary detectives were just as fond of the phrase “the evidence never lies” as CSI’s Gil Grissom was. I will demonstrate how these early fictional detectives not only favored physical evidence, they made it a point to downplay or disparage other forms of evidence. The received view holds that Edgar Allan Poe’s 1841 short story “Murders in the Rue Morgue” is the first detective story. However, there were a number of stories written before Poe’s story that could easily be considered detective stories or, at least, proto-detective stories. William Evans Burton’s 1837 short story “The Secret Cell,” for example, pre-dates Poe’s story by four years and is thought to have had a major influence on Poe’s work. Burton’s story involves the mystery of a kidnapped girl in London, which is solved through the work of a police inspector identified only as L___. I believe that one reason we consider Poe’s story to be the first detective story, rather than Burton’s or any other earlier crime fiction, is because “Murders in the Rue Morgue” is the first story to incorporate the application of scientific deductive reasoning to the physical evidence. Burton’s police inspector L___ did not deal with physical evidence at all. Instead, he relied exclusively on traditional investigative work –familiarity with the criminal underworld, use of disguises and dialects for undercover surveillance, and conducting eyewitness and suspect interviews. Regardless of whether it is the first detective story or not, Poe’s foregrounding of forensic methodologies over traditional policing methods in “Murders in the Rue Morgue” made it the first modern detective story. Poe’s fictional detective C. Auguste Dupin not only employs forensic analysis and deductive reasoning in “Murders in the Rue Morgue,” forensic methods are shown to be superior to other forms of evidence gathered through traditional policing especially eyewitness accounts. The story is what we refer to now as a classic “locked door mystery” involving two murdered women found on the fourth floor of an apartment building in an inaccessible room that was locked from the inside. The police constable in Poe’s story employs the same traditional investigative methodology as that used by Burton’s L__ in “The Secret Cell.” Although successful in solving the crime in Burton’s story, these methods are now portrayed as worthless in Poe’s story. The witnesses who overhear the murder of the two women cannot come to a consensus as to what language the murderer was speaking, but the constabulary still puts an innocent man in jail for the crime based on this faulty evidence. While the bumbling police chief keeps interviewing witnesses, Dupin decides to explore the physical evidence including an examination of the dead bodies themselves. During his exploration Dupin discovers a hair at the crime scene, which he determines is not human. This leads him to the real killer: an escaped orangutan. Poe’s story sets up the common tropes and themes found in subsequent detective fiction throughout the nineteenth century: a police force whose methods are not scientific and who often are at a loss in a case before deciding to put away an innocent person based on their flawed testimonial evidence, and a private detective who uses the power of reasoning to come to a conclusion based on observations and analysis of the physical evidence. 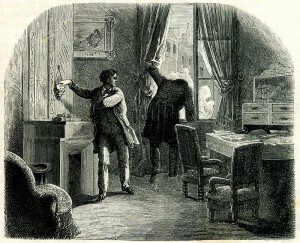 Poe referred to the Dupin stories as “tales of ratiocination” because his detective solved crimes through the application of the same logical empiricism used in scientific work. 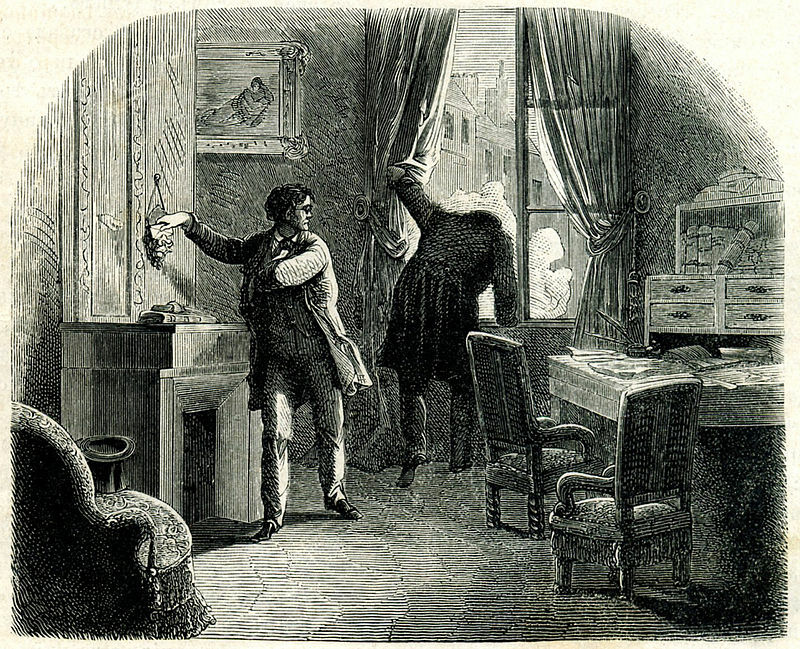 Poe’s story had a significant influence on subsequent nineteenth century fictional detectives who also embraced the primacy of physical evidence over other types of evidence. 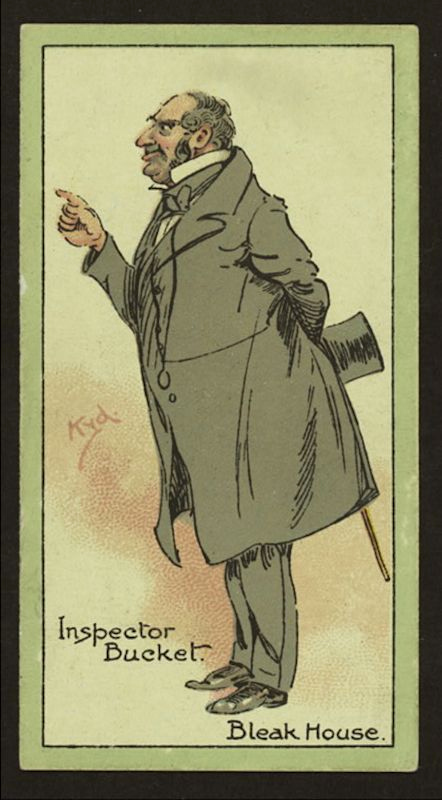 Inspector Bucket of the London Metropolitan Police is one of the first modern detectives in Charles Dickens’ Bleak House. Charles Dickens 1852 novel Bleak House is another early piece of detective fiction in which traditional policing methods are brought into question. One of the many subplots in this long novel involves Inspector Bucket’s investigation of the solicitor Tulkinghorn’s murder. Testimonial evidence proves to be highly unreliable as eyewitnesses identify numerous suspects on the staircase leading to Tulkinghorn’s office the night of the murder, some of the suspects in disguise, and all of which had a motive to kill the solicitor. As with Dupin, if Bucket had relied only on eyewitness testimony he would have been led to the wrong conclusion and arrested the wrong suspect –Lady Dedlock. Instead, Bucket chooses to examine the physical evidence to find his proof. Through an analysis of the handwriting found on some incriminating letters purporting to be from Lady Dedlock, Bucket realizes that the letters were actually written by Tulkinghorn’s former maid Hortense whom he then arrests as the real murderer. As with Poe’s tales of ratiocination, testimonial evidence in Bleak House led the investigator down the wrong path while the physical evidence was the only path to certainty. While Wilkie Collins’ 1859 novel Women in White is often considered the first full-length “mystery novel,” his 1868 novel The Moonstone is generally considered the first “detective novel” because of its inclusion of a gifted amateur “gentlemen detective” and a highly skilled professional investigator from Scotland Yard. Unlike Poe’s and Dickens’ stories Wilkie’s novel does not emphasize the primacy of physical evidence, but as in these earlier stories the novel highlights the problematic nature of testimonial evidence. The novel’s epistolary nature makes each narrator a “witness” and several narrators prove to be unreliable witnesses. Even when witness testimonies are shown to be correct these statements are challenged by other characters who cannot believe they are accurate accounts of what happened, especially when they point to the heroic main character as the thief. In fact, it is not until the scientifically trained Ezra Jennings provides a logical explanation based on his medical knowledge of opium are they able to clear the hero as a suspect. It is a narrative theme that would not be out of place in a modern CSI episode –the evidence does not lie in The Moonstone, rather it is the faultiness of human interpretation that leads to the confusion. Basil Rathbone plays Sherlock Holmes with his stereotypical magnifying glass in 1939’s The Adventures of Sherlock Holmes. Of course, the most famous early fictional detective to stress the primacy of physical evidence over other evidentiary forms was Arthur Conan Doyle’s Sherlock Holmes. The first Holmes story, “A Study in Scarlet,” was written in 1887 and Conan Doyle acknowledged modelling his detective character on Poe’s C. Auguste Dupin. The “conventional” Inspector Lestrade of Scotland Yard serves as Holmes’ police foil with his reliance on traditional police methods continually steering him to the wrong conclusions. In contrast, Holmes’ confidence in his expert knowledge of scientific subjects (botany, chemistry, geology, anatomy) and his focus on the physical evidence always lead him to the correct answer. The caricature of the detective wielding a magnifying glass comes straight out of Holmes’ focused attention to the physical evidence at the crime scene. From Holmes’ perspective witness and suspect testimony are an uncertain source of evidence because of the faultiness of memory and the propensity of people to lie. For Holmes only physical evidence speaks the truth and only the rational scientifically minded detective is capable of hearing this truth. This scientifically oriented detective, however, required new techniques to effectively gather and analyse physical evidence drawn from gunshot residue, blood stains, boot prints, tobacco ashes and bullet casings. Fortunately for Holmes, Dupin and other early fictional detectives forensic science was gaining legitimacy in the late-nineteenth century. Forensic scientists were regularly producing new techniques for analyzing evidence including developments in fingerprinting, handwriting analysis, ballistics, and microscopy. In his study of early detective fiction and forensic science Ronald Thomas points to the authority that fictional detectives secured through their deployment of these new scientific “devices of truth.” However, Thomas argues that the novels themselves also served as devices of truth that supported the development of the emerging field of criminalistics. He shows the symbiotic relationship that existed between detective literature and forensic science. While detective novels gained validity for their plots by including forensic science, forensic science itself gained legitimacy through the fact that respected fictional detectives were using its methods to solve crimes. Forensic science always corresponded to certainty in these novels, even if that certainty was not always present in real world forensics. This relationship between science and literature was encouraged by pioneering forensic scientists like Edmond Locard who instructed his colleagues and students to read Sherlock Holmes stories in order for them to better understand the principles of forensic science. Forensic science, then, became an integral part of crime solving during the twentieth century and, more importantly, it became legitimated as a source of evidence that could be used in the courts. This movement between literature and forensic science is the nineteenth century version of the CSI effect. Fictional stories about the primacy of physical evidence were not only influencing how the public thought about forensic techniques, they were also impacting what professional investigators and the courts thought about this scientific field. 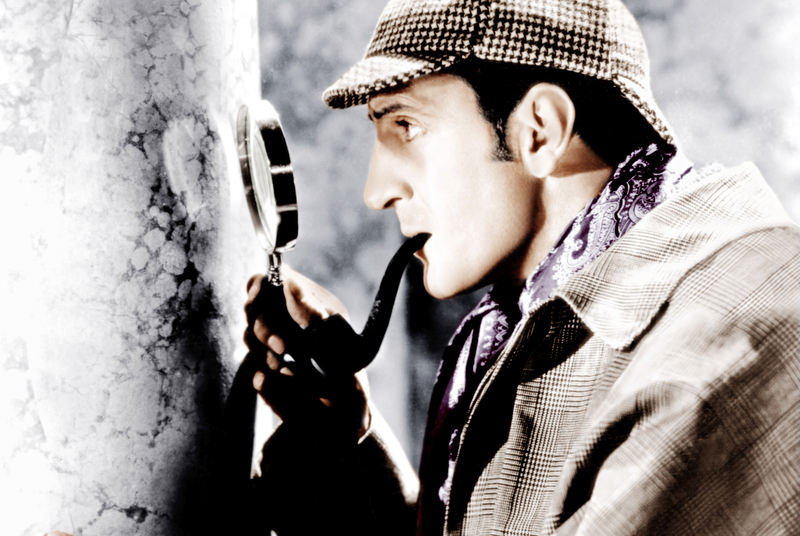 After the Holmes stories, fictional detectives in literature were portrayed more like fictional criminologists than like traditional police officers. In fact, many of the fictional sleuths in early-twentieth century detective fiction, such as R. Austin Freeman’s Dr. John Evelyn Thorndyke and Jacques Futrelle’s Professor Augustus S. F. X. Van Dusen, would feel right at home as characters in a modern CSI franchise. Unlike current concerns about the dangers of the CSI effect, there were no contemporary complaints about an overreliance on science in these early crime-solving novels. In fact, the utilization of scientific methods for putting away criminals was seen to be a good thing. That is, until some authors in the 1930s and 1940s resisted the genre’s reliance on forensic evidence by preferencing more humanistic modes of detection. But, that topic is for a post at a later date.